NOTE — Altador Cup games are only available during the Altador Cup which is generally in the summer. 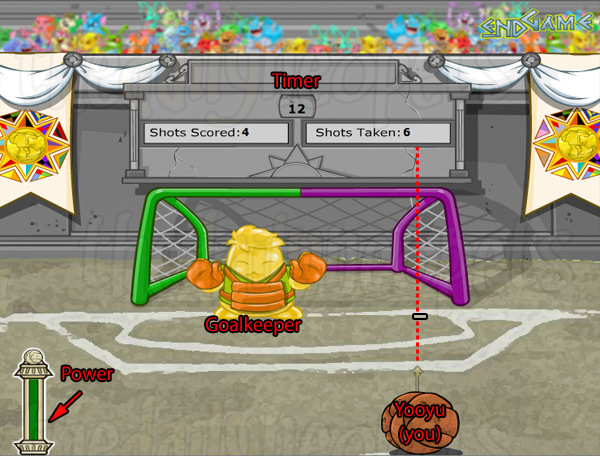 In Shootout Showdown, only 2 players are on the field : a goalkeeper from the practice Jellyworld team and you! Can you place 5 Yooyus in the goal in less than 60 seconds? The game controls are pretty straight forward. Use your LEFT and RIGHT arrow keys to position the Yooyu and press SPACEBAR to add some power to your shot. If you want to add an angle to your ball, press your arrow keys again. When you are ready to shoot, release your spacebar. Don't forget, you must score 650+ points for your score to contribute to your team's total. Timing is crucial in Shootout Showdown. 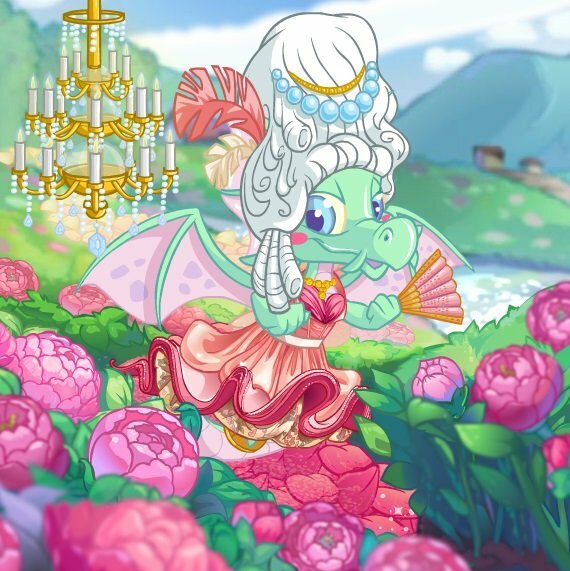 However, the game is not as random as it seems to be. In order to score with a Normal Yooyu, tap 2 times on your left or your right arrow key. To make this technique easier to understand, I've marked several visual references in the screenshots below. When the goalkeeper is far away from the side you are aiming at, all you have to do is to release your spacebar and shoot! The power of your shot has no effect on the score you get. 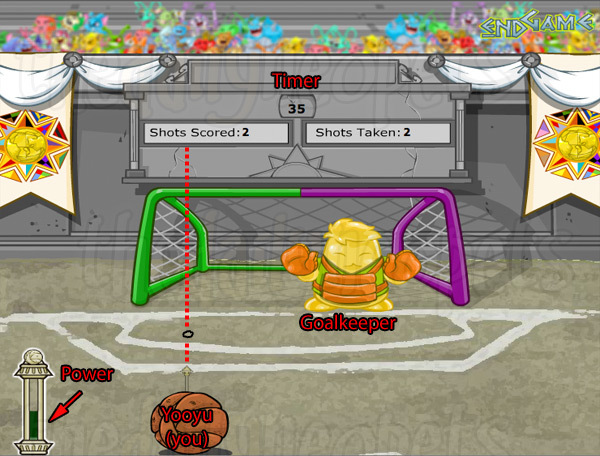 It's also possible to score without moving the Yooyu and to shoot when the goalkeeper is moving to the side or to and an angle to the ball before shooting. 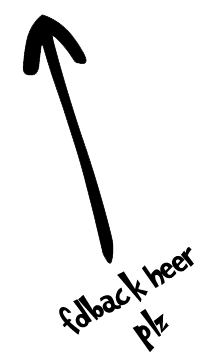 Additionally, holding down the spacebar while simultaneously holding a left or right arrow key to move your aim all the way to one side can work as well. Shootout Showdown is a fun game that will surely please a few avid players. Like the two other Altador Cup mini-games, it can easily get boring and monotonous. If you need to take a break from Yooyuball, it might be a good idea to play Shootout Showdown as the controls are easy and the game isn't really stressful overall. The Snowager is awake. He'll be sleeping in 4 hours, 38 minutes.